In the era of #Metoo, more women are speaking up against sexual assault and harassment from men and even women. But there are still other lingering problems in Nigeria for women financially and personally. There still exists a gender wage gap, the agency of a lot of women is taken away as they are unable to work, or they face gaslighting in the workplace and other professional spaces. During the African Women Changing The Sexist Poverty Narrative discussion at #SMWLagos, problems were discussed, solutions were proffered. 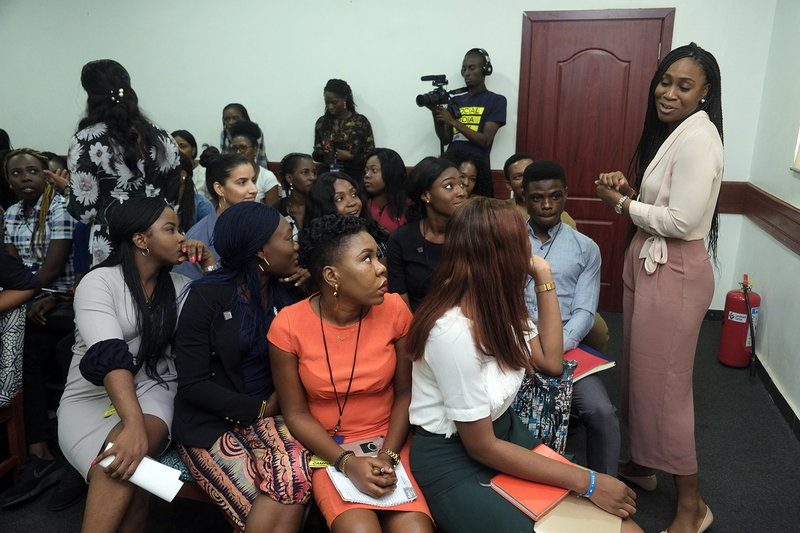 In the midst of these problems, some women are making waves in their industries in Nigeria. While not particularly discussing feminism, the panelists asked that women act just like men in their professional fields; it is only the “cunning and smart” that will win the seats at the table. But even with that strategy, woman are expected to be perfect – and are treated differently – because society hardly grants women second chances. The panelists encouraged women to reach out to women before them, in order to improve career prospects. It is especially important for women to be given the tools and opportunities to live the best version of their lives on their own terms. But there are still important questions to ask to achieve equity with men. That includes: how can African women be supported in leadership roles in business, governance and politics to manifest lasting social and economic change on the African continent?